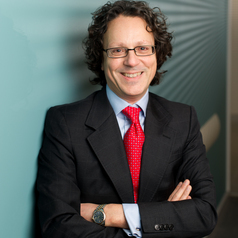 Carmine Pariante is Professor of Biological Psychiatry at the Institute of Psychiatry, and Consultant Perinatal Psychiatrist in the associated South London and Maudsley NHS Trust. He investigates the role of stress in the pathogenesis of mental disorders and in the response to psychotropic drugs, both in clinical samples and experimental settings. His work focuses on depression and fatigue, with a particular interest in the perinatal period and in subjects with medical disorders. Moreover, he also uses animal and cellular models. Professor Pariante has received numerous awards for his research: for example, from the National Alliance for Research in Schizophrenia and Depression (NARSAD), the American Psychiatric Institute for Research and Education (APIRE), and the British Association for Psychopharmacology. He has recently been awarded the 2012 “Academic Psychiatrist of the Year” Award from the Royal College of Psychiatrists. His dream is that new therapeutic tools targeting the stress system will soon be available to alleviate the suffering of patients with mental health problems.